T he millennium is an exceptional moment for the youngDimitar Angelov a.k.a. DJ Max. Exactly then he begins hismusic career, when finishes the course for deejaying at EbookingAnnual School. His sessions are full of freshuplifting rhythms, definitely directed to young people anddynamic generation. T hey are complemented by funky andvocal elements, percussions and lots of groove – acontemporary sound that lights up the pure sound of Housemusic.A few years after DJ Max starts playing, he demonstratespotential skills and real passion for music. T herefore histeachers Pacho and Pepo offer him to be part of their eventsmanagement organization “Ellectrica Promotions”(established in 1996) and he is selected as artist at theMain Rosetr of E-booking DJ Agency (established in 2001).In 2005 DJ Max is also invited as a co-producer of Pacho'sweekly radio show "Club Time", broadcasting on Katra FMevery Friday night ( HYPERLINK "http://www.katra.fm"www.katra.fm). Long hours of studio work, numerousperformances all over the Balkans, residencies at the bestclub in the country are the key for the success of DJ Max. 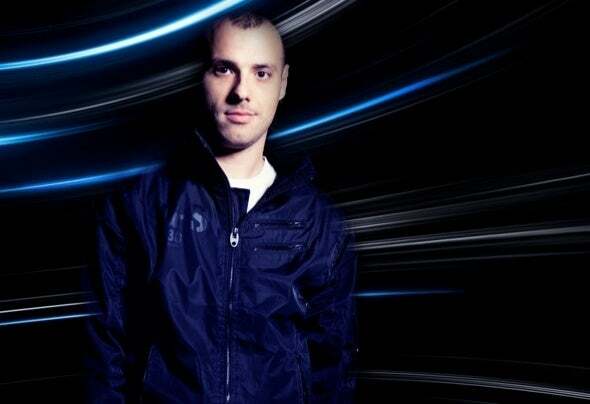 In2005 he wins national DJ Awards and become “Best DJ ofT he Year Bulgaria”. Later he starts to exchange music ideaswith his colleague: Danny /Ellectrica Recordings/ and after 3years together behind the decks, both artists have startedown radio show "Electronic T herapy", broadcasting on thenational “Alfa Radio”. In 2011 both also create a brand-newconcept party, dedicated to the symbiosis between the liveinstrumental performance and the dj work, named “LiveSessions with DJ Max & Danny feat. George Z aikov(Trumpet).To develop his career DJ Max has received strong musicinfluences and magical inspirations by names as DannyTenaglia, Steve Lawler, Chus & Ceballos, Dubfire, Audiofly(with some of them he had the opportunity to share the djbooth). T he first steps to present himself as a producer onthe world music scene had amazing results. His first track"Folk" (2009), realized with Pacho & Pepo, has beenremixed by famous Spanish producer Isamael Rivas and afew hours after the its appearance, the song get in top 5sold house tracks for Juno Download - representative onlinemusic store. At the same time DJ Max is collaborating for thenext opening of the second label of his teachers - StolenSoul Music and he becomes one of the most talentedproducers of the brand. In 2012 appears the first EP of DJMax & Danny - "Day By Day", that is created in collaboration with the trumpet player from Music Academy of Plovdiv:George Z aikov. It contains two original tracks and a remix.Just after the moment of its appereance, the release hasreached one of the highest ranking in the Deep House chartof the online store djshop.de. Ir also becomes the bestsellingtrack for Ellectrica Recordings and receives supportfrom Marco Carola, AFFKT, Paco Osuna.DJ Max has remixed music for DJs as Kenny Ground, IsmaelRivas, Oscar de Rivera; his live sessions are emitted byGlobal Radio Madrid (Sain). One of his and Danny's remixesof the track "Brilliant" (original mix: Pacho) is included incompilation Unique Vol.2 – Selected Sounds from theUnderground, where can be found productions of ValentinoKanziany, Marco Dassi, Remerc, DJ Emerson.